We look at three cocktail bars and a whisky-focused one you may want to spend your hard-earned money at this festive season. Let’s face it, we’re spoiled for choice when it comes to finding places to booze at in Singapore’s drinking scene. But while we have our firm favourite drinking holes, digging out and exploring new ones can be fun to do with like-minded friends. And since December really is the season we don’t need any excuse to drink and party, here are four places you may want to spend your (hopefully fatter) festive paycheck on. Mythz & Myths may have a somewhat unpronounceable name – trying saying it three times really quickly – but the recently opened restaurant along South Bridge Road actually harbours a pretty small yet cosy bar in an almost hidden corner that needs to be on the radar of cocktail hounds. Head bartender Darren Lim – previously from Lucky Bar in Holland Village – has put together a cocktail menu (complete with hand-drawn art) inspired by the manga comics and fantasy games of his youth, so your cocktail options are rife with names like Malefic Paradox or Ancient One. Sure, that may sound a little self-indulgent but we quite enjoy Nyx ($24++), an aperitif that’s fruity with blackberry liqueur yet smoky and anise-like from absinthe, or R.E.D. ($22++), a rich and spirit-forward tipple made with Mount Gay Black Barrel rum, house mulled wine and chocolate bitters that comes in a cloud of smoke. And if you like something even stronger, the XY (1,0) (24++) is a martini take with strong briny sea elements from konbu, dill and oyster leaf. It’s so strong you may want to dine in Mythz & Myths’ main dining room first before attempting this. 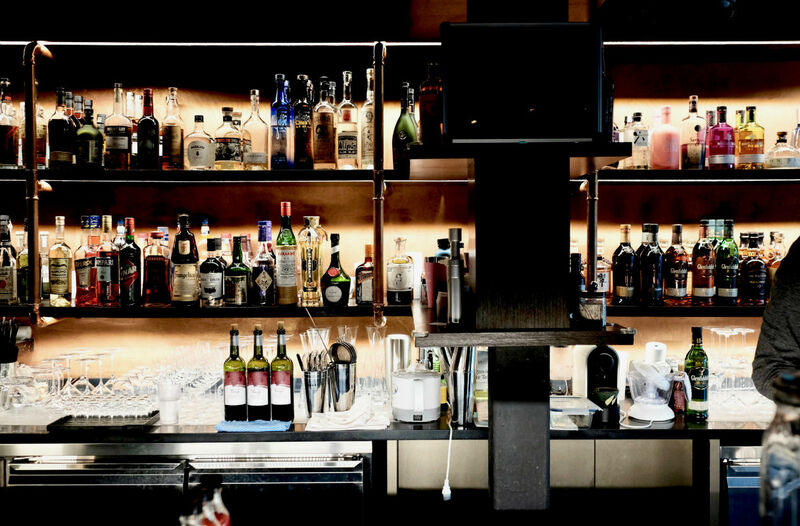 There are hotel bars that are so utterly ubiquitous they aren’t worth mentioning, and there are award-winning bars that just so happen to be located within hotels (think Jigger & Pony, for example). Then there’s MO Bar at the Mandarin Oriental, the hotel’s very own effort to create a cocktail bar concept that’s worthy enough to warrant a visit by the most ardent of cocktail hounds. MO Bar at Mandarin Oriental Singapore isn’t the first MO Bar set up by the hotel group – that honour goes to the Landmark Mandarin Oriental in Hong Kong. But this chic yet comfortable space, developed in consultation by bar specialists Proof & Company, may just get itself on cocktail award lists for its eclectic drinks list of 14 cocktails that gets inspiration from cultures across the region. We’re a fan of Mother of Dragons ($26++) a fruity yet elegant tipple that’s inspired by Vietnam’s origin story (and not Game of Thrones as you might have guessed), with its blend of cachaça, strawberry, aloe vera and dragonfruit. 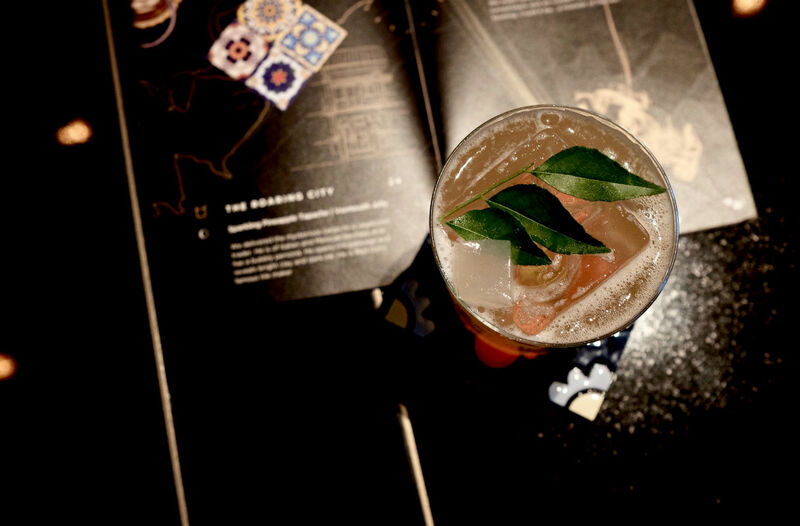 Roaring City ($24++), named obviously after Singapore, combines sparkling pineapple tepache and vermouth for a bubbly, fruity concoction that’s a bit sweet, a bit sour, and altogether quite refreshing. Cocktail lovers may have rightly surmised that The Other Roof is somehow aligned with speakeasy cocktail bar The Other Room in Singapore Marriott Tang Plaza. Tucked away on the open-air rooftop of Ann Siang House, The Other Roof would be the flighty, outgoing twin sister to the party-loving but more mysterious The Other Room – you get a pretty decent view of the skyline of Singapore’s Central Business District despite it only being on the fourth floor. The cocktail menu here is also a lot more whimsical, and focuses on using different kinds of tea to enhance and differentiate its drinks offerings. The Other Mojito ($23++), for example, uses a tea infused, butter-washed rum to liven up the classic, while the Teaspresso Martini ($22++) employs a vodka infused with tiramisu-flavoured tea. If you don’t hold back your punches – as in you like your punches on the strong side – there’s the Old Fashioned Way ($25++), which combines a port cask finished rum with smoky Ardbeg 10, angostura and chocolate bitters, for a knockout blow. For those who prefer to imbibe their alcohol neat, The Other Roof follows The Other Room’s penchant for aging spirits further in cask types; we highly recommend you try the Ron Zacapa 23 flight here – the tiramisu and latte macchiato flavoured versions ($17++ per glass) are highly expressive and honestly, addictive. The Other Roof | 28 Ann Siang Rd, Rooftop Bar, Singapore 069708 | 4.30pm to 12mn Tuesdays to Saturdays | 6100 2882. 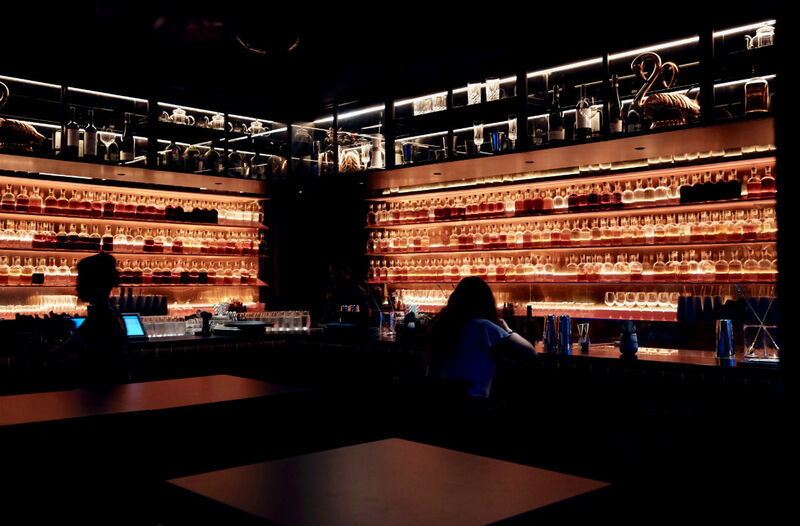 You wouldn’t quite expect the performance arts hub that is Singapore’s Esplanade to contain a whisky bar, but newly set up The ExciseMan is totally the kind of watering hole that whisky enthusiasts will enjoy that’s tucked away in a corner of the art centre’s retail section. For one it’s a fairly large and uncluttered space (unlike some of our other favourite whisky bars) but more importantly it’s run by one of the more knowledgeable folks in the whisky business here in Singapore – Lewis Mitchell of whisky distributor Le Vigne. Le Vigne is the official distributor of Douglas Laing here in Singapore, so expect to see a spread of the independent bottler’s ranges such as its “Remarkable Regional Malts” of Big Peat, The Epicurean, Timorous Beastie, Rock Oyster and Scallywag; there’s also its higher-end ranges of XOP, Provenance, Old Particular, and Directors’ Cut. 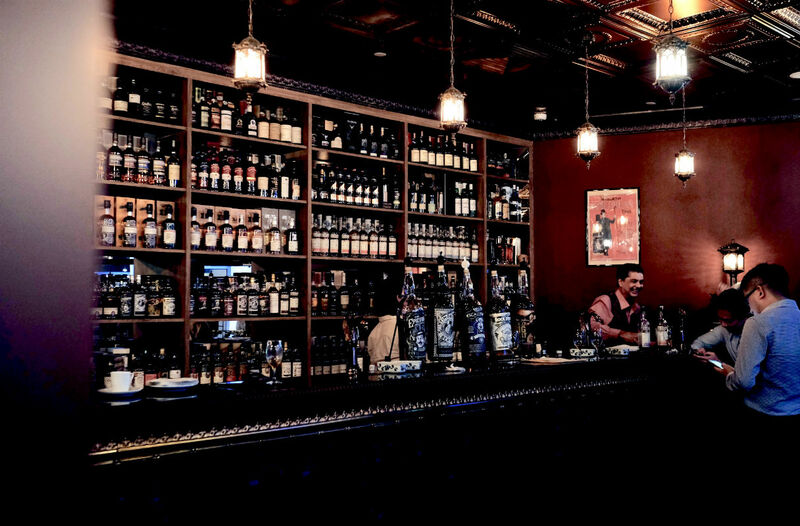 And unlike other whisky bars with loftier ideals, The ExciseMan is not above stocking official bottlings from bigger, more commercial producers as well if you’re looking for those instead. And don’t worry if you’re new to whisky; the affable Mitchell will gladly walk you through the tasting journey while regaling you with all kinds of stories.